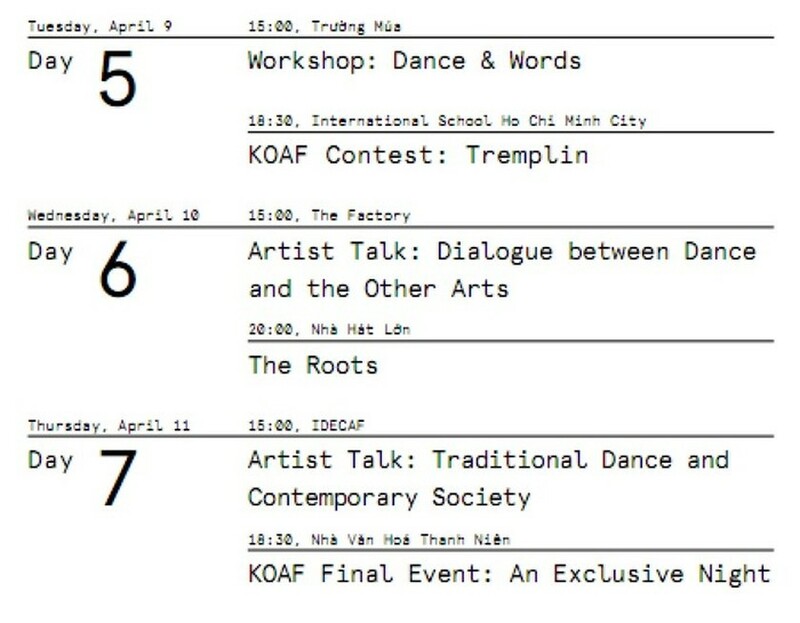 The 3rd Krossing Over Arts Festival (KOAF) 2019 will take place at 15 different indoor and outdoor venues in Ho Chi Minh City from April 5-11 and Hanoi from April 13-21. 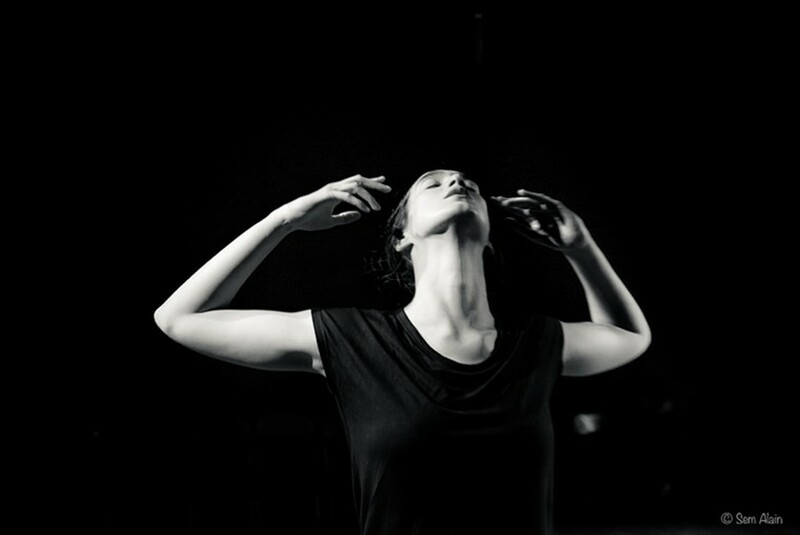 Co-organised by the France-based Kerman Dance Company and French Institute in Vietnam, the exciting two-week-long program will feature a series of interdisciplinary and collaborative performances along with a plethora of artist talks, dance workshops, and international film screenings. This year’s event themed “Roots” opens a wide spectrum of imagery from the part of a tree that grows deeply into the earth to the metaphorical link to our ancestors, such as the unconscious memory in Lub qhov rooj (The Door), a collaboration between choreographer Nguyen Phuc Hung and visual artist Sandrine Llouquet featuring dancer Sung A Lung; the memory of the body itself in “The Roots” by Kader Attou director of National Choreographic Center in La Rochelle, with a powerful performance which has toured in Europe, and also USA, China and Taiwan (China). The performance “At the Gate” of Oblivion Sébastien Ly in association with Vietnamese and French dancers will deliver a deep and intimate performance on the relationship to our grand-parents, including the poem of Kim Van Kieu recited by his grand-mother. 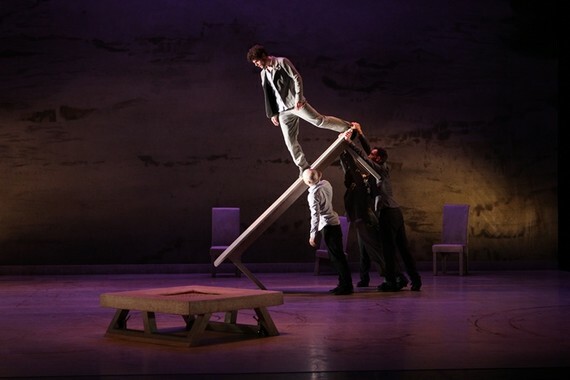 The item , “Tree of Life” by the Urban Dance Group (UDG) and choreographed by John Huy Tran, in collaboration with composer and visual artist Benoît Bottex, will feature the primordial connection between human beings and nature. 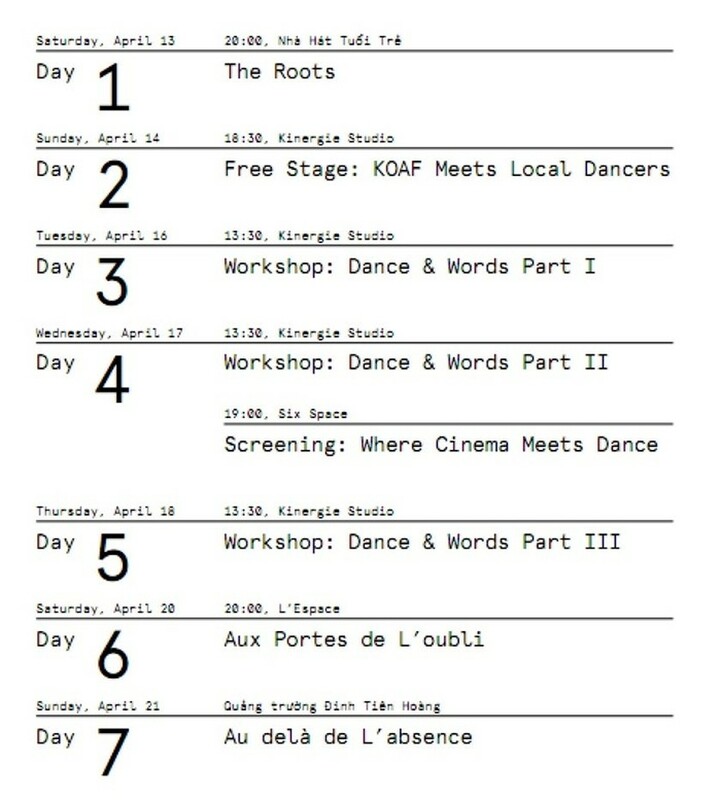 KOAF 2019 will also present to movies lovers 8 dance films that have previously been shown at international film festivals such as Tarikat by Jasmijn Schrofer (Agite Y Sirva Film Festival, Mexico); and The Ferryman by Gilles Delmans and Damien Jalet (Ciné-Corps Film Festival, Paris). 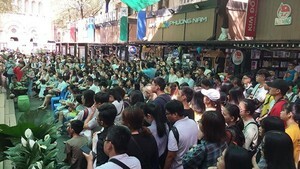 Young artists will have a chance to introduce their works at the event. Best artists will be chosen to participate in KOAF 2020. Krossing Over Arts Festival was organized for the first time in 2017 by choreographer Sébastien Ly with support from French Institute in Vietnam and Kerman, featuring interdisciplinary performances at various locations in Ho Chi Minh City. The festival is the crossings between contemporary dance and other art forms; local and international artistic approaches; the public and artists.